We are very sorry to report that Dennis Adams died on 12th August at the age of 83. He was a founder member of Conwy BKA in 1978 and a former chairman. He kept bees for over 65 years, and he was our most enthusiastic beekeeping instructor. He loved sharing his knowledge with new beekeepers. You would always learn something new when you watched Dennis Adams working with bees. 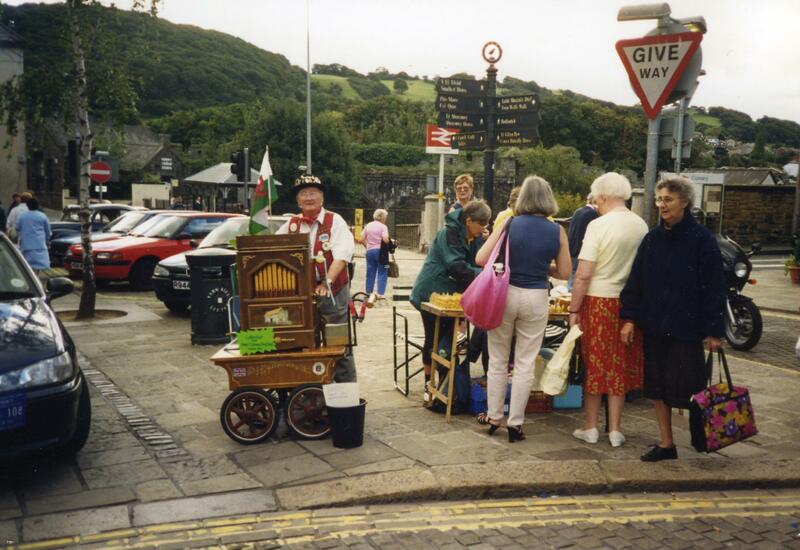 This picture shows Dennis Adams (on the right) at a taster day at Tal y Cafn. Notice the van slogan. 6.30pm for 7pm start. A talk by George Pilkington, Warrington upstairs at the Bodnant Welsh Food Centre, Tal y Cafn LL28 5RP. Tickets £2.50 per person, plus raffle. Pay on the door. 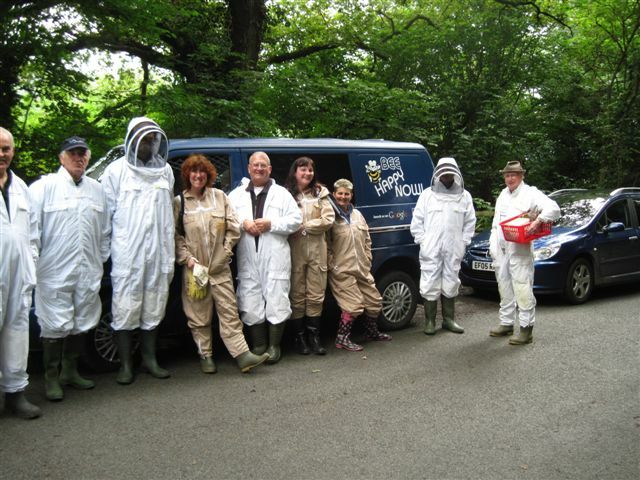 Proceeds in aid of National Beekeeping Centre Wales. Tal y Cafn at 2.30pm. Contact our apiary manager Chris Clarke for Apiguard. Are available for collection from Peter McFadden. Standard 454g pounds and hexagon 227g half pounds. Now is the time to start preparing your bees for successful wintering (not mid October). See our website page Preparing the bees for winter.